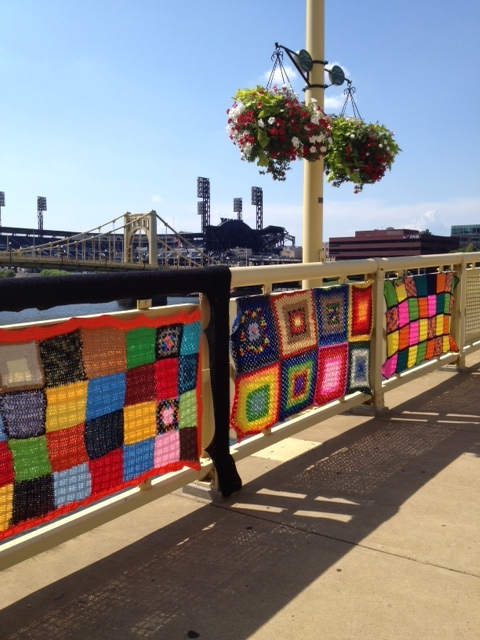 Knit the Bridge is a grassroots, community-led arts project that brings the many diverse communities of Pittsburgh and Southwestern Pennsylvania together to create a large-scale, aesthetically stunning, fiberarts installation on the Andy Warhol/7th Street Bridge. The installation will be on view from August 12th until September 6th, 2013. 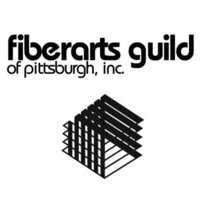 In conjunction with Fiberart International 2013, Knit the Bridge celebrates the history of Pittsburgh as a city of bridges and steel as well as the region’s thriving, contemporary arts scene. As accessible craft forms, these community-engaged fiberart traditions knit together strong, healthy, creative communities. damage to historic structures and is temporary and easily removable. 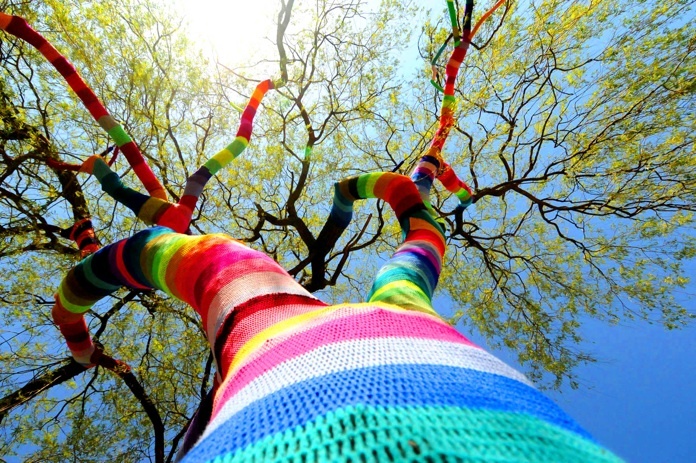 For more examples of yarn bombings, see our post here. Sandie, So happy to have you and your group participating!! Awesome. We are working on figuring out the logistics for drop of points and panel tags. When are the panels actually due? I can’t find any information on this site saying when this is actually happening. Hi! This is really exciting!! How can I get involved? 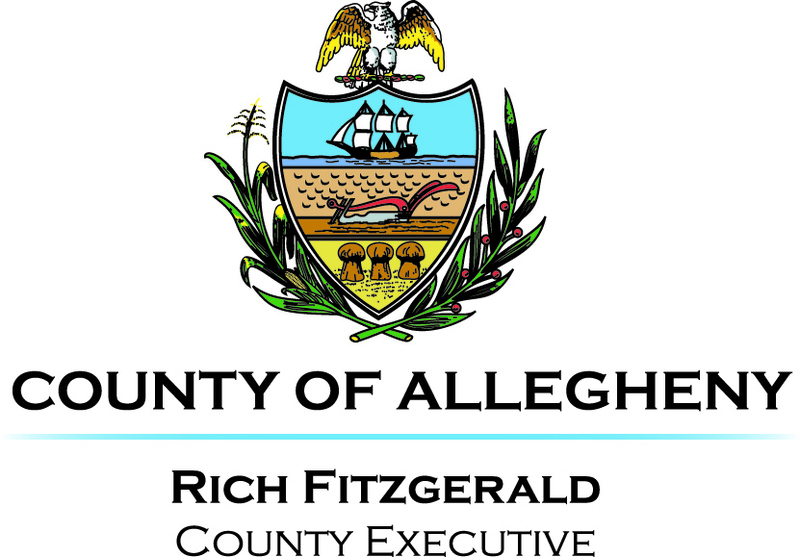 There are many ways to get involved! If you knit or crochet and want to make a panel or parts of a panel, you can sign up in the sign up box at the top right on the page. If you don’t knit or crochet but want to learn how we can teach you at any Knit the Bridge event, all listed on the events page of this blog. If you like bringing people together, you can sign up to be a community leader and organize a meet up or other KtB event. If you want to volunteer, you can sign up to teach at one of our many teaching events or school visits. You can also help us spread the word to folks you know. Email us with questions or if you have trouble with the sign up. We’re excited for our involvement! A community yarn bombing project is a truly amazing experience. We just undertook one here in New Bedford, MA. It brought together over 70 people of all ages and from all different parts of our community. It has been the talk of the town and created new relationships. I wish you all the best with your project! And if you need anymore knitting I know where you can find some as our temporary installation comes down this week. Can you tell me when the installation will be in place? 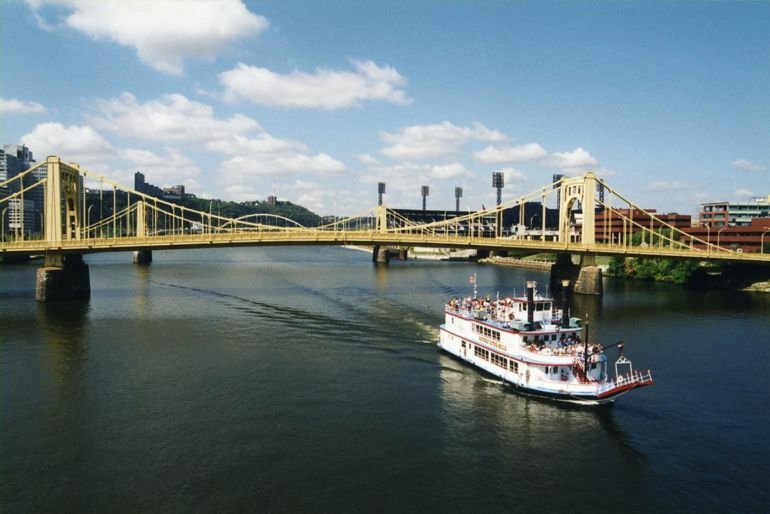 I don’t live in Pittsburgh, but my son does, and if possible I’d like to plan a visit so that I can see this. I am really impressed by what you are doing. Thank you. Claudia, WE are still working on finalizing the dates with local officials. As soon as we have them, we will share the news. Please sign up on our blog and under “other” write something like, “just want to be on the email list”. Then we can send you an email when we have an update. We’ll also be posting it on the blog, facebook page, ravelry, and twitter. Thanks, I did sign up for the blog. I like reading about it. I just wanted to make sure I had not missed it somewhere. Wish I lived closer and could participate. I did my mailbox post last year and got a lot of comments. I think the bridges will be a sight to remember. I am late to the game but I will have a panel ready to turn in. I also would like to help with installation. I scanned the site but didn’t see dates on when it we will actually be putting it up. we’re still working on it… stay tuned!! have you considered donating the blankets to the many homeless who live *under* the bridges?? seems like a worthwhile cause. Yes, Nicole! That is exactly what we intend to do with them once them come down and have been laundered! Beautiful work — the bridge is indeed stunning. 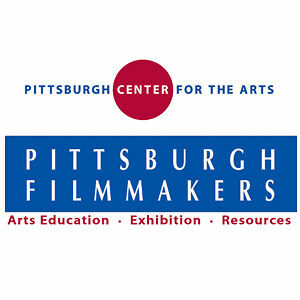 But if I were to organize a community event, I’d want to do something a bit more durable and value adding — like replanting trees to clean up polluted Pittsburgh air, or getting people together to refurbish one of Pittsburgh’s (many) horrible public schools. I visited the bridge last Friday. What a sight. I’m still thinking about it. I wrote about it on my blog (http://claudiamcgillart.wordpress.com/2013/08/19/its-just-beautiful/) and I’ve showed the pictures to several friends here at home. Wow! My wife and her daughter are SO impressed by this project! My beautiful “home-tahn” looks all the more stunning due to this amazing collaborative effort. We only wish it were up longer! We would drive form the Maine coast to see this installment, but TODAY is the last day !